SINGAPORE, 13 November 2018 – Epson extends its hearty congratulations to long-term partner Mercedes-AMG Petronas Motorsport Team after the team secured its fifth successive FIA Formula OneTM World Constructors' Championship*. 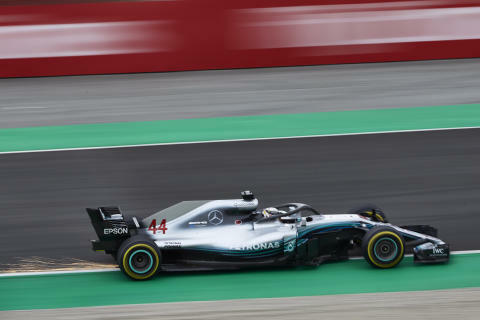 The momentous victory was achieved on November 11 after drivers Lewis Hamilton, who won the race, and Valtteri Bottas combined to outpoint their nearest rivals at the Brazil Grand Prix in Sao Paolo. Epson has supported Mercedes-AMG Petronas Motorsport Team since the 2015 season. As an Official Team Partner, Epson provides its expertise in products including inkjet printers, scanners, 3LCD projectors and smart glasses, with the Epson logo visible on the Mercedes-AMG Petronas Motorsport Team race cars, along with branding on the helmet visors and racesuits of the team's drivers Lewis Hamilton, winner of this year’s drivers’ championship, and Valtteri Bottas. *Subject to official confirmation by the FIA of the results of the 2018 FIA Formula One™ World Championship.